Want to discover the Canal du midi by bike? Want to take off for amazing cycling holydays in France and Spain? We’re here for you, Located in Toulouse our travel agency is run by professional bike specialists. We organize all-inclusive cycling trips, free or guided by a certified cycling instructor. The Canal du Midi, Bike it! Cycling holiday along the Canal du Midi. Going on a cycling trip along the Canal du Midi it’s coming in the Occitanie region to discover the south of France. Listed as a UNESCO World Heritage, you will cycle along the water, sheltered from the plane trees. As you go forward, make sure to explore the ancient cities of Carcassonne and take time to visit some vineyard to sample the wine. 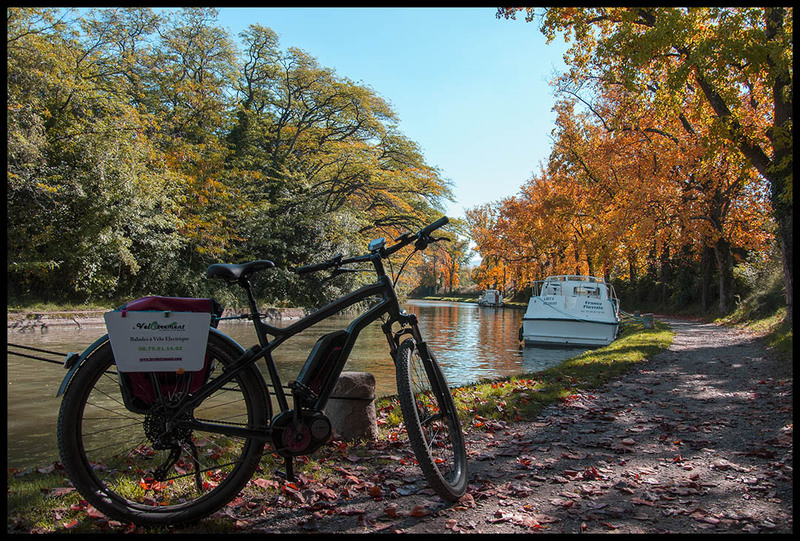 This self guided bike tour offer you the opportunity to ride peacefully along the canal du midi, taste our gastronomic specialties, and discover the richness of the architectural and cultural heritage of the South of France.